Shortly after the Amazon Kindle blog publishing program was announced, I enrolled this blog. I had long since forgotten about the Amazon program until I came across the following tweet from the Kindle_Blog. 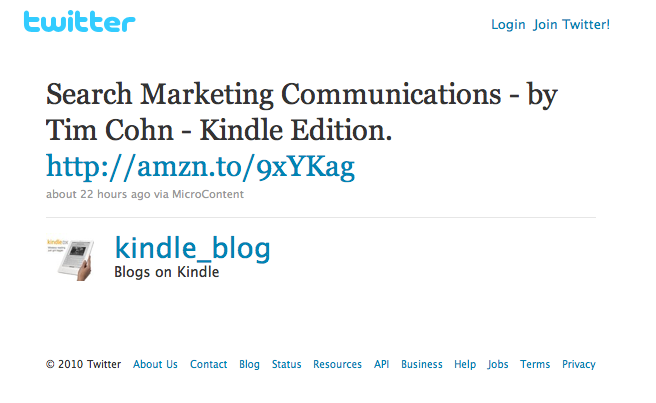 Clicking the link took me the Amazon Kindle edition of Search Marketing Communications. I like the idea of information automatically self-propagating. If self-propagating information was a business category, Amazon would be its king. 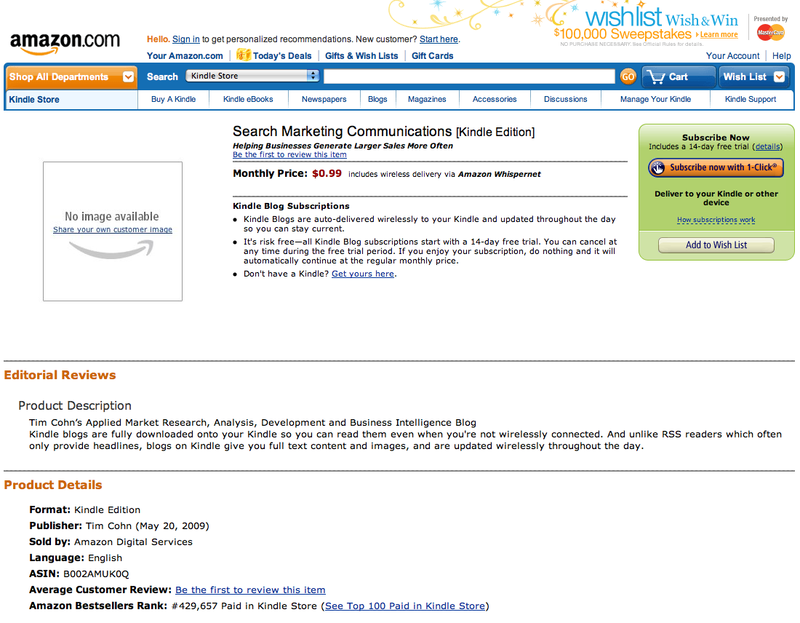 This entry was posted on November 4, 2010 at 5:15 pm and is filed under Search Marketing Communications Kindle Edition. You can follow any responses to this entry through the RSS 2.0 feed. You can leave a response, or trackback from your own site.